Here are some snazzy birthday facts about 7th of July 1984 that no one tells you about. Don’t wait a minute longer and jump in using the content links below. Average read time of 10 minutes. Enjoy! What day was my birthday Jul 7, 1984? 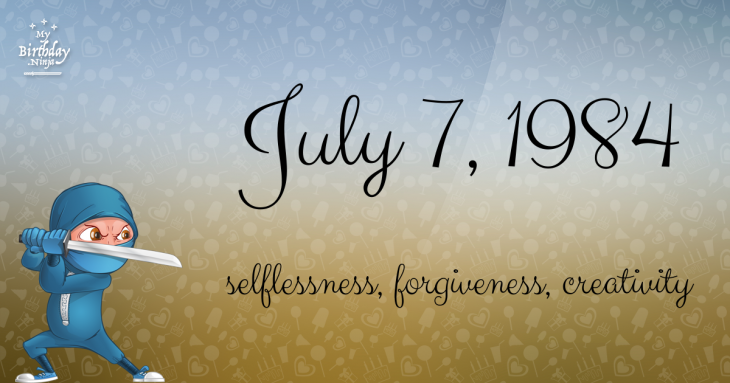 July 7, 1984 was a Saturday and it was the 189th day of the year 1984. It was the 27th Saturday of that year. The next time you can reuse your old 1984 calendar will be in 2040. Both calendars will be exactly the same! This is assuming you are not interested in the dates for Easter and other irregular holidays that are based on a lunisolar calendar. There are 79 days left before your next birthday. You will be 35 years old when that day comes. There have been 12,704 days from the day you were born up to today. If you’ve been sleeping 8 hours daily since birth, then you have slept a total of 4,235 days or 11.59 years. You spent 33% of your life sleeping. Since night and day always follow each other, there were precisely 430 full moons after you were born up to this day. How many of them did you see? The next full moon that you can see will be on April 19 at 11:14:00 GMT – Friday. Fun stat: Your first one billion seconds (1,000,000,000) happened sometime on March 15, 2016. If a dog named Seismic - a Lhasa Apso breed, was born on the same date as you then it will be 156 dog years old today. A dog’s first human year is equal to 15 dog years. Dogs age differently depending on breed and size. When you reach the age of 6 Seismic will be 40 dog years old. From that point forward a small-sized dog like Seismic will age 4 dog years for every human year. Raid of the Redeswire, the last major battle between England and Scotland. Florenz Ziegfeld, Jr. staged his first Follies on the roof of the New York Theater in New York City. World War II: U.S. forces land in Iceland, taking over from an earlier British occupation. Fritz Moravec and two other Austrian mountaineers make the first ascent of Gasherbrum II (8,035 m). Buddhist crisis: The police of Ngô Đình Nhu, brother and chief political adviser of President Ngô Đình Diệm, attacked a group of American journalists who were covering a protest. During the Lebanese Civil War, 83 Tiger militants are killed during what will be known as the Safra massacre. The first Live Earth benefit concert was held in 11 locations around the world. What does my birthday July 7, 1984 mean? 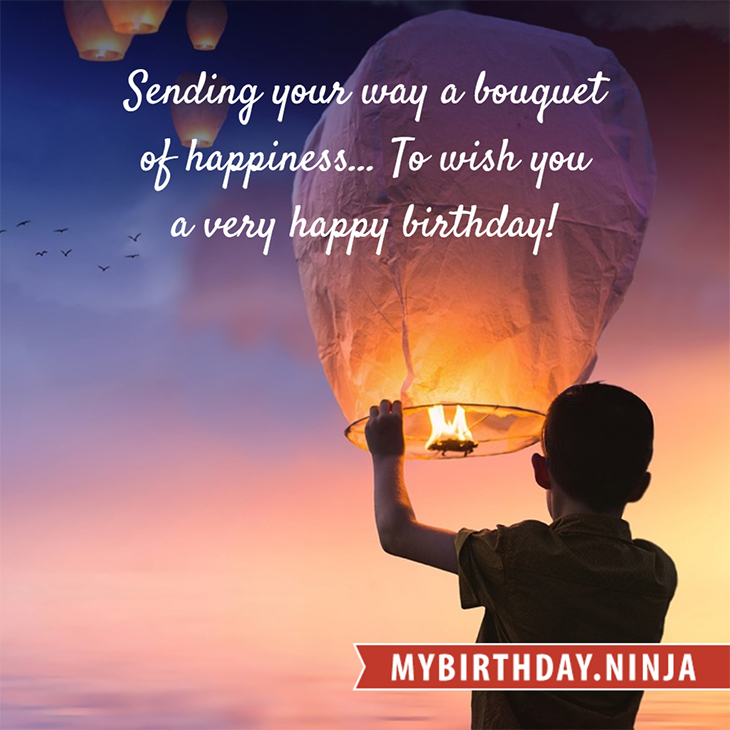 Your birthday numbers 7, 7, and 1984 reveal that your Life Path number is 9. It represents selflessness, forgiveness and creativity. You are the philanthropist, humanitarian, socially conscious, and are deeply concerned about the state of the world. The following celebrities also have the same life path number: Jean-Pierre Aumont, Moira Shearer, Northern Calloway, Michelle Williams, Kei Yasuda, Farid al-Atrash, Takahiro Nishijima, Rebecca Romijn, Marina Vlady, Wang Leehom. What is the birthday horoscope for Jul 7, 1984? The Western zodiac or sun sign of a person born on July 7 is Cancer ♋ (The Crab) – a cardinal sign with Water as Western element. The ruling planet is Moon – the celestial body of moods and emotions. According to the ancient art of Chinese astrology (or Eastern zodiac), Rat is the mythical animal and Wood is the Eastern element of a person born on July 7, 1984. Fun fact: The birth flower for 7th July 1984 is Larkspur for haughtiness. What is the Love Match for Jul 7, 1984? When it comes to love and relationship, you are most compatible with a person born on November 11, 1986. You have a Love Match compatibility score of +145. Imagine being in love with your soul mate. On the negative side, you are most incompatible with a person born on January 24, 1974. Your incompatibility score is -149. You’ll be like a cat and a dog on a love-hate relationship. Arf-arf, I want to bite you. Meow-meow, stay away from me! The number-one hit song in the U.S. at the day of your birth was When Doves Cry by Prince as compiled by Billboard Hot 100 (July 7, 1984). Ask your parents if they know this popular song. I do not know how you feel about this, but you were a female ♀ in your last earthly incarnation. You were born somewhere around the territory of Romania approximately on 1800. Your profession was map maker, astrologer, astronomer. How many babies were born on July 7, 1984? Base on the data published by the United Nations Population Division, an estimated 133,872,578 babies were born throughout the world in the year 1984. The estimated number of babies born on 7th July 1984 is 365,772. That’s equivalent to 254 babies every minute. Try to imagine if all of them are crying at the same time. What is the popular baby name on 7 Jul 1984? Here’s a quick list of all the fun birthday facts about July 7, 1984. Celebrities, famous birthdays, historical events, and past life were excluded. Try another birth date of someone you know or try the birthday of these celebrities: September 29, 1927 – Adhemar da Silva, Brazilian triple jumper and actor (d. 2001); April 27, 1944 – Cuba Gooding Sr., American singer and actor (The Main Ingredient); March 19, 1915 – Patricia Morison, American actress and singer.